Update: The parade is cancelled again due to snow. Mardi Gras parties are still happening tonight though. The annual Clarendon-Courthouse Mardi Gras Parade returns this Tuesday, February 17. After being delayed and finally cancelled last year due to weather, the 2015 family friendly parade is set to make up for lost time starting at 8pm. 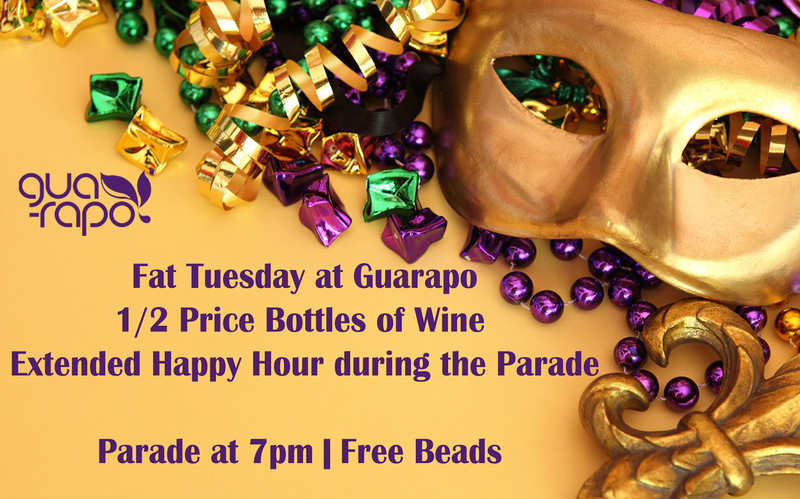 The parade party starts at Bayou Bakery and continues at Guarapo with an extended happy hour, half price wine bottles and free beads. One man indie band Saturday Giant is playing at Galaxy Hut this Monday February 16. 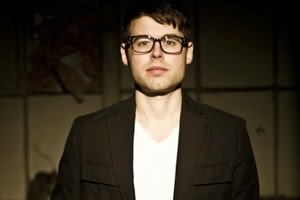 Phil Cogley is from Columbus, Ohio and started touring the country in 2010. Phil layers bits of guitars, drums, keyboards, vocals and beat boxing into catchy songs like his "When Death Comes" title track on his new EP. 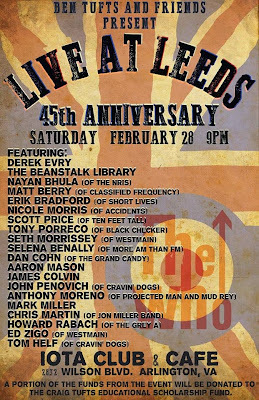 Opening for him is local favorite Derek Evry that Monday night starting 9pm with awesome alt/pop rock guitar playing. 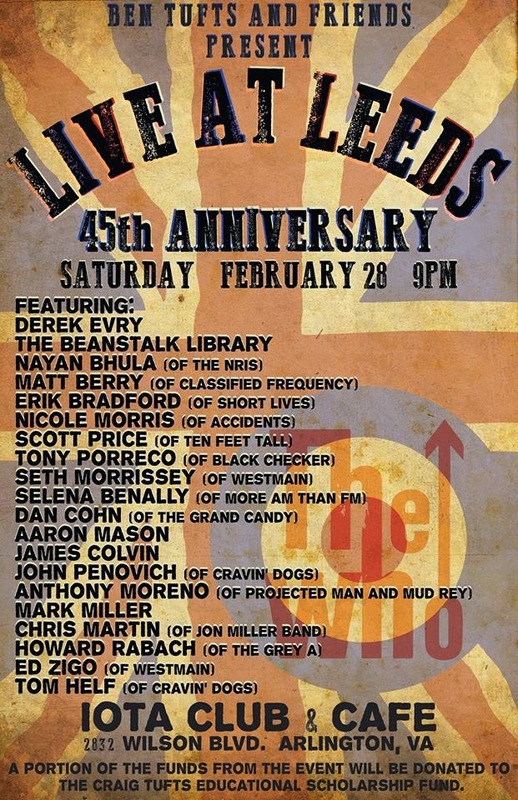 $5 cover for both musicians. It's time again for Lindy Promotions DC Limo Scavenger Hunt! This huge event is on Saturday February 7 and consists of teams of up to 10 people competing in a 3 hour scavenger hunt while being chauffeured around the district in luxury stretch limos. 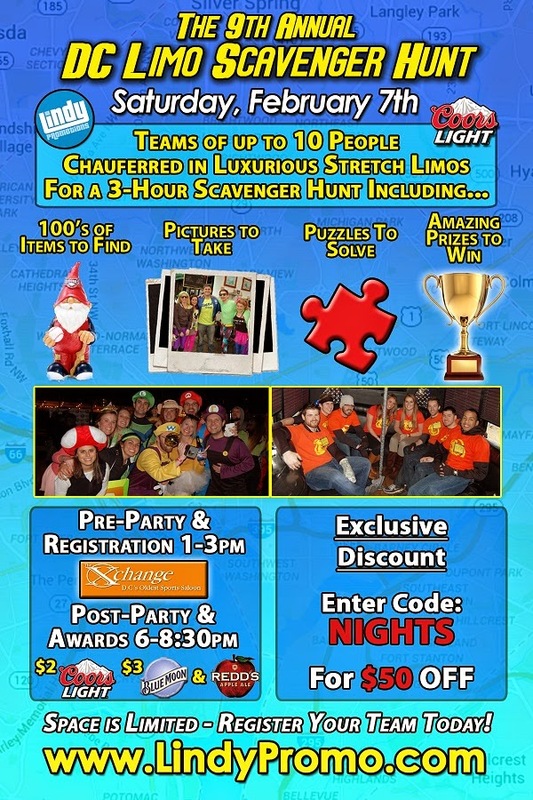 There are crazy items to find, puzzles to solve, landmarks to visit, bar stops to visit, and challenges to compete in, in an effort to win prizes. Tickets are usually $600 per team, but with my promo code NIGHTS you save $50 off your limo purchase through January 17. Drink specials at various DC bars include $2 Coors Lights and $3 Blue Moons and/or Redd's Apple Ales. This Thursday Feb 5 Oby Lee is throwing a free wine tasting from 7-9pm. 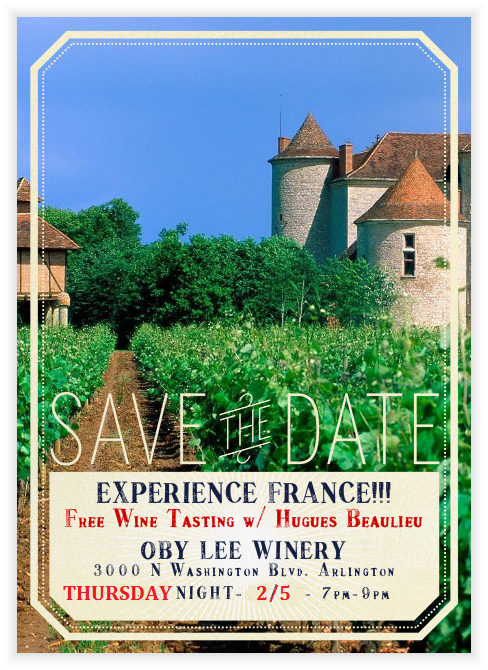 Wine sampling from Hugues Beaulieu as well as discounted wines by the glass. Oby Lee is one of the few venues around that have self serve wine by the glass machines. The small family owned shop is also a bakery with crepes, desserts, and great gluten free treats. On Wednesdays, Oby Lee has a deal to get 50% off a sweet crepe when you buy 2 savory crepes. An exciting new venue named SER is getting ready to open this week in Ballston. Spanish for "to be", SER wants to be a small neighborhood restaurant serving up authentic, mouth-watering comfort foods from Spain in a casual and friendly environment. I'm really looking forward to the modern and stylish venue opening next to Melting Pot and Booeymonger at 1110 N. Glebe Rd. Earlier this year, Christiana Campos won the Ballston BID Restaurant Challenge and began a Kickstarter campaign to fund a new Arlington restaurant. SER is under final construction now and is set to open Wednesday February 4, and is looking to hire staff here. 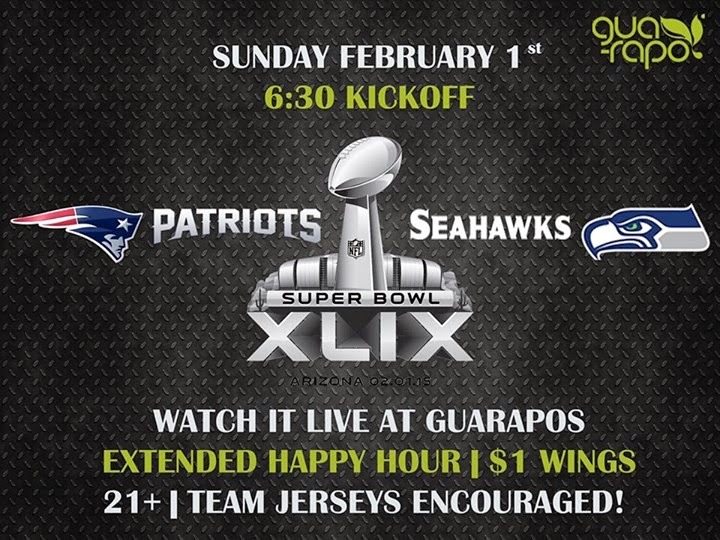 Guarapo has an extended happy hour and $1 wings. Bracket Room should be popular and has prizes and giveaways during the game. Mexicali Blues has beer specials with $2 12oz cans, $3 16oz cans and $10 48oz pitchers. First Down is taking pre-orders for carryout of their famous wings. Mister Days is selling tickets for $25 for their party that includes an All You Can Eat Tailgate menu 3-6pm and prizes. Hunan Number One offers $5 all you can eat buffet along with their usual awesome huge mug happy hour special.